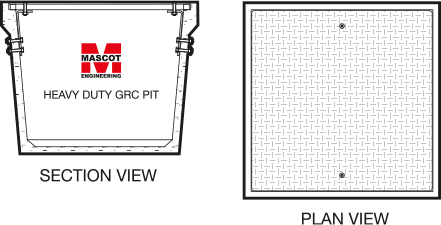 This range of hot dipped Galvanised Mild Steel covers are manufactured to sit into the rebate of our lightweight GRC cable pits. Complete with lock down bolts, these covers prevent opportunistic access – patented high security bolts are available if required. Available in up to Class C as standard stock items, a Class D (with frame) is available if required.